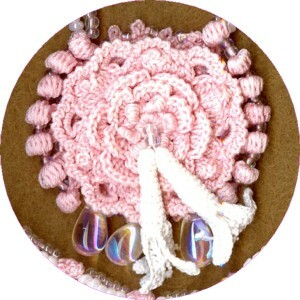 This intermediate level teaches the rose bullion stitch. It also reinforces the clones knots taught in Book 2. 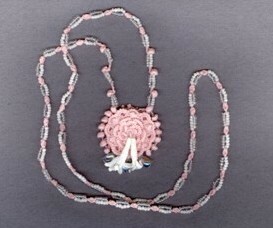 A new beading technique used in the band is also taught. 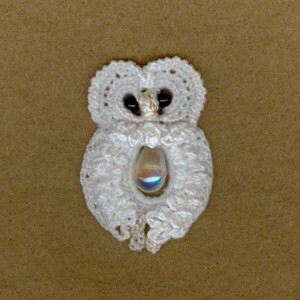 The stitches used in this design are: single crochet, half double crochet, double crochet, treble crochet, double treble crochet, flat join stitch, popcorn stitch, and the clones knot stitch. The pendant measures approx. 1 1/2 inches at its widest point and the necklace band measure approx. 27 1/2 inches.